Home » Association News » …… The Bad …. We visited the October horse market at Maurs this week, one of the major fairs for the sale of animals into the meat trade. Vehicles from Spain, Portugal, Italy, Belgium and Holland as well as all regions of France were evident. We were there early to watch the unloading of well over a thousand equines – there is a quite unbelievable disparity in the transportation used. Big tractors towing huge open metal trailers with all ages of heavy horses inside, small open box trailers with ponies, normal trailers, sport horse lorries, cattle trucks and the huge commercial transporters. The mix of animals this year was slightly different, no TB types at all, and less trotters than normal. There were more horses of Iberian origin, although none were purebred or papered. 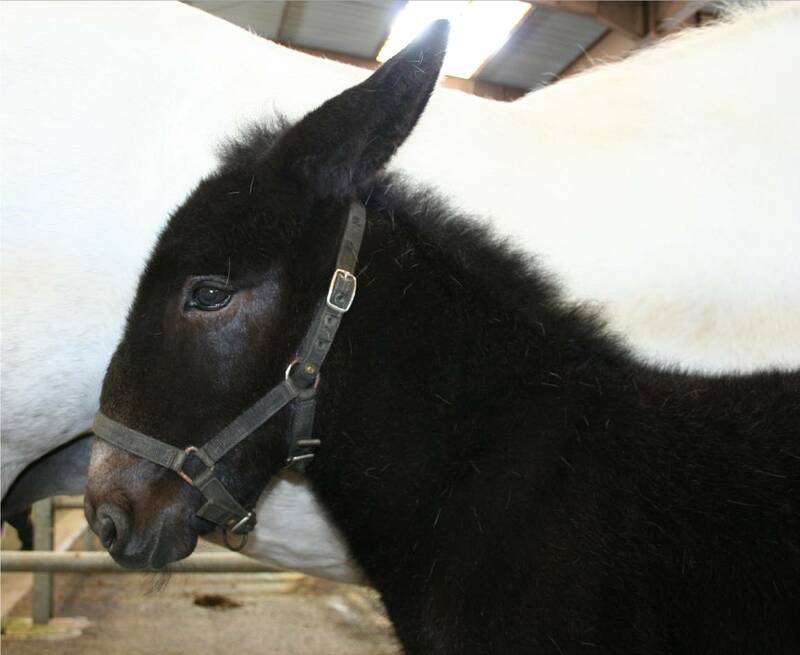 Many more mules were apparent – mainly the bigger types taken from the heavy breed mares – with the numbers of donkeys and the ‘Trait’ breeds of Percheron, Breton, Cob Normand, Comtois, and Ardennes consistent with previous sales. 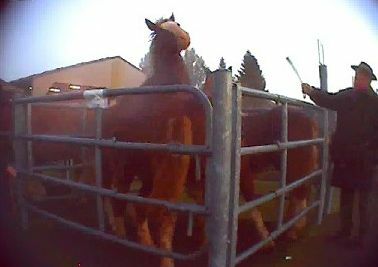 Some of the animals had been penned overnight, there was very little hay or water in evidence, and plenty of holes had been dug on the hard standing by stressed horses. There was the usual overloading of pens, with animals barely able to turn round or move. One pen with the heavy youngsters contained both colts and fillies, causing an impromptu education in equine reproduction. More significantly, the potential for injury is vastly increased by such practice, with biting and aggression from the colts, and serious kicking out from the fillies as they try to escape the unwanted attentions. 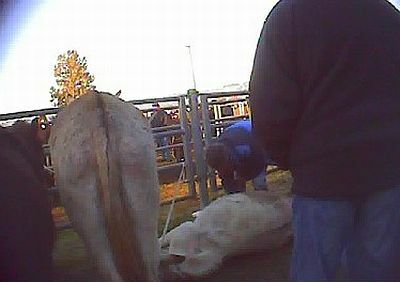 Foals were being taken directly from the mares and sold, leaving them dripping milk. 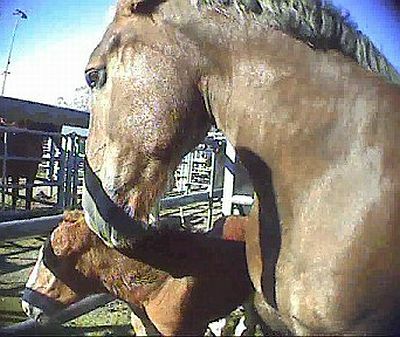 One farmer was pushing to sell his 4 day old foal from under the mare. She was so stressed trying to protect her baby. The majority of the meat bred horses were in good condition, but some of the light horses were very poor indeed, as were the donkeys. One in foal donkey was so dehydrated that she was down, and giving up. She needed veterinary assistance (luckily it was before 10am, and the vet was still there) in the form of a drip and injections before she could get to her feet again. Whilst there have been some improvements made, there is still a long way to go. Over the tannoy, we hear the market supervisor instructing the dealers and loaders that the horses must not be hit with sticks. Unfortunately, it appears to fall on deaf ears once the loading gets underway. 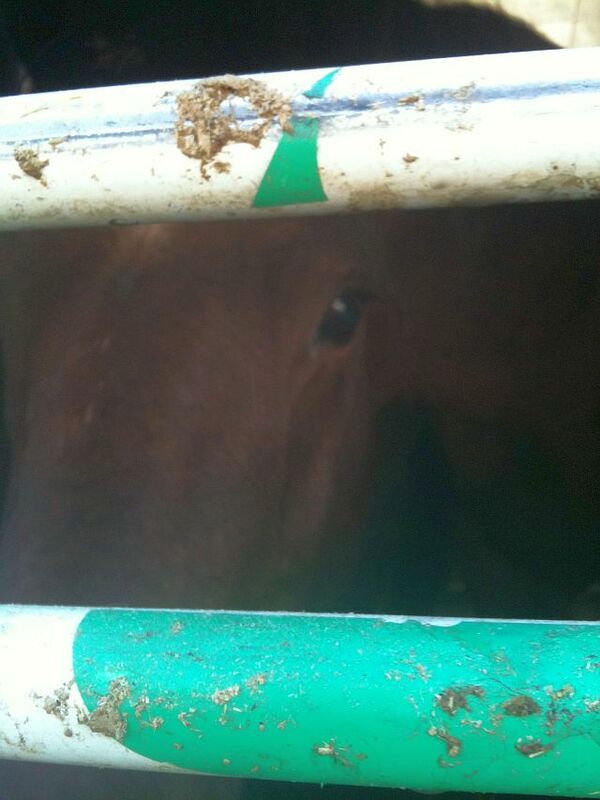 Lets hope that the EU will eventualy do something about the animal transport regulations. Until a few years ago the UK had very much better regulations which were enforced by the Vets of the MAFF. However, guess what? The UK was required to come into line with Continental European rules, and the welfare of animals in transit in the UK was put back 20 years!!!! Oh to go back to a European FREE TRADE AREA and get rid of the bloated Brussels lot.